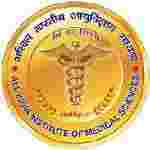 AIIMS Jodhpur recruitment 2018 notification has been released on official website www.aiimsjodhpur.edu.in for the recruitment of total 41 (forty one) jobs out of which 40 (forty) vacancies for Junior Resident (Clinical), 01 (one) for Demonstrator (SPH) vacancy. Walk-in-Interview 09th January 2018. Here on this page you will get the details like the Name of vacancies released by AIIMS Jodhpur with exact number of posts. Some other criteria like Education details, application fee and way to apply application for AIIMS Jodhpur recruitment 2018. Educational Qualification: MBBS from the MCI recognized Institute and candidate must have compulsory rotatory and must produce internship completion certificate for S.no-1. MBBS/BDS/AYUSH from the MCI/DCI/Respective Councils recognized Institute and candidate must also MPH Degree with min. 2 years experience in teaching MPH students for S.no – 2. Fee charges: Applicants who wanted to participate for AIIMS Jodhpur should pay the below charges through Demand Draft in favor of AIIMS Jodhpur. Interested and eligible aspirants may appear for Interview along with original documents and one set of self-attested photocopies at the time of Interview.